If you are anything like me, you have a few left-over eggs from Easter. 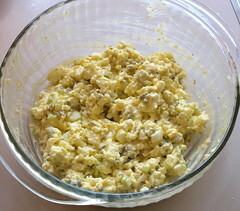 When I was growing up we never had egg salad. Maybe it was because my parents did not care for it, or maybe they never thought of it, but we never had it. 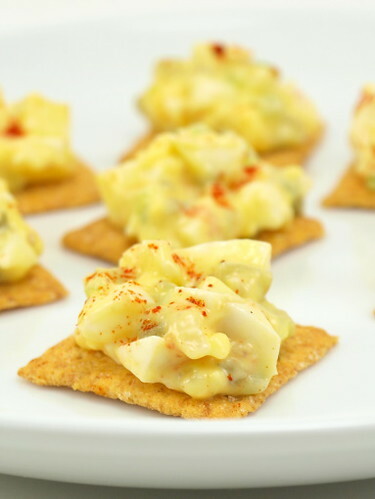 Once I struck out on my own I decided to give it a try, but I found a lot of the recipes I tried were either too bland or had too much onion or sweet relish, which overpowered the other flavors. So, I decided to come up with my own recipe. 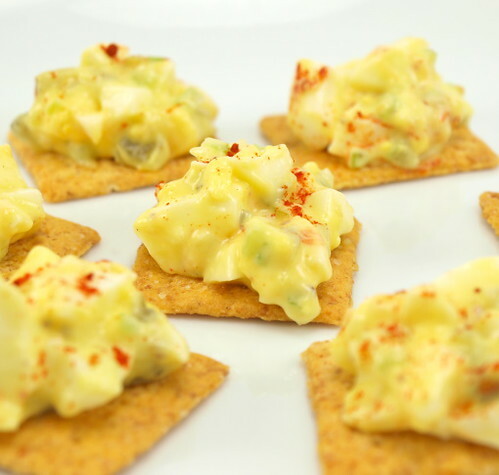 I use just a little bit of finely minced sweet onion, chopped cornichons, dijon mustard, and a splash of red wine vinegar for a nice tart yet swet edge. 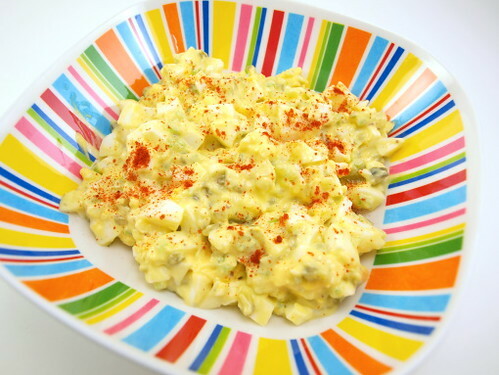 This salad is simple yet really tasty. Spread some on wheat bread an it makes a lovely sandwich, or spoon it on crackers for a yummy snack. Heck, just eat it with a spoon! 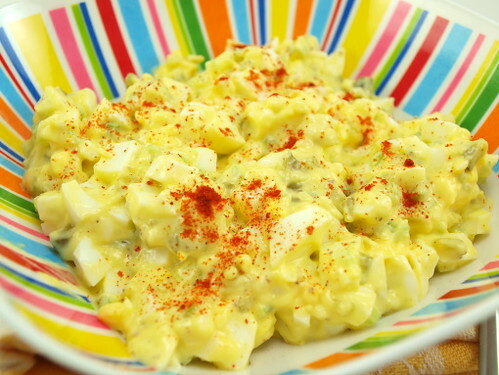 It is a perfect way to use up any left-over hard boiled eggs the Easter Bunny may have left behind! 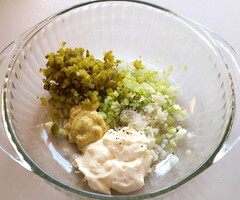 In a medium bowl combine the mayonnaise, mustard, vinegar, cornichons, celery, and onion. Mix well. Season with salt and pepper. 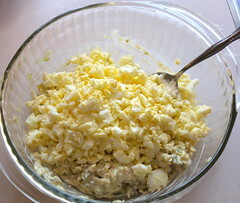 Add the chopped eggs and fold to combine. Cover and chill for at least an hour, or overnight. Sprinkle the smoked paprika over the top before serving.